Super opportunity! Rarely available northwest corner unit at the much sought after "Place on the Park". The most desirable and quietest corner in the building. You'll love the new carpeting throughout and the bright floor to ceiling windows. The two large bedrooms are separated by the spacious main living area, providing added privacy. The full bathroom doubles as a cheater ensuite. Enjoy the convenience of in suite laundry. A nice feature is the almost 200 sq. ft. covered wrap around balcony. An extremely well maintained and managed building with a bonus live-in caretaker. Prime location beside Central Park. Steps to pitch and putt golf, tennis and trails. 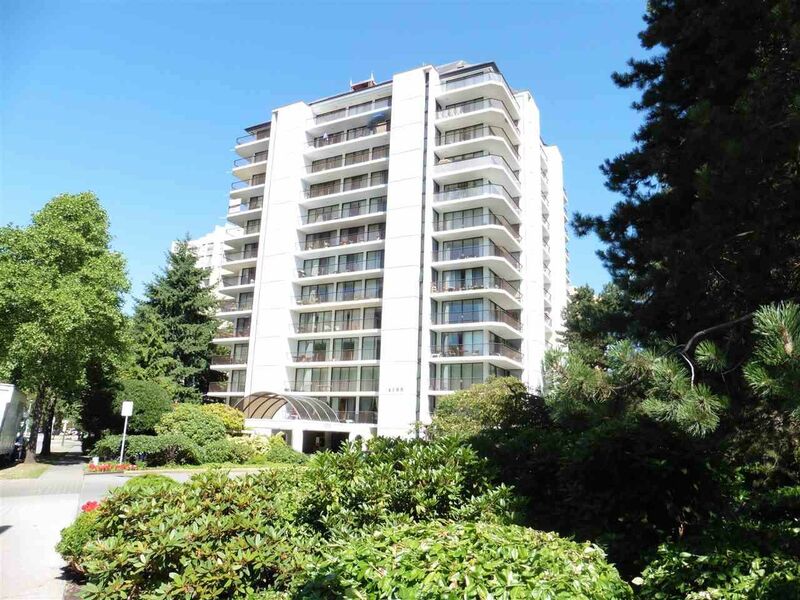 Only a short walk to Skytrain, Metrotown, Crystal Mall and the Library. Suites seldom come for sale in this building. Excellent value!